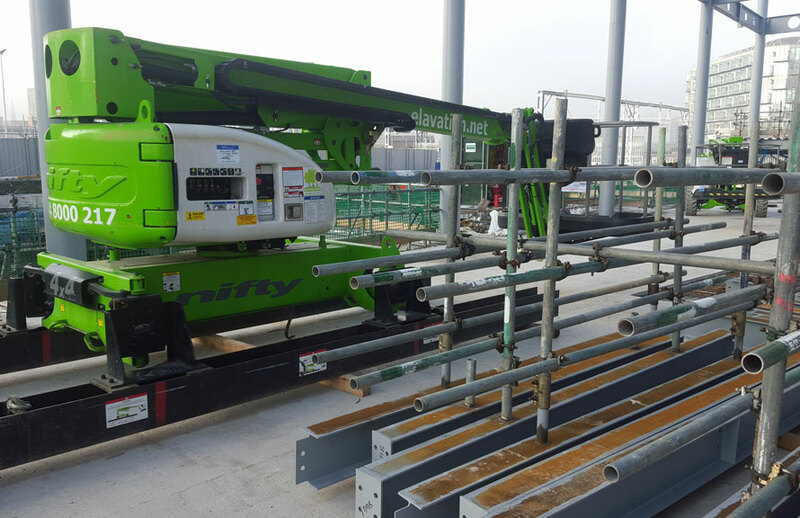 Niftylift Deck Riders are static base boom lifts that sit on a steel ‘sled’ that has lifting points to allow it to be craned into position quickly and easily. 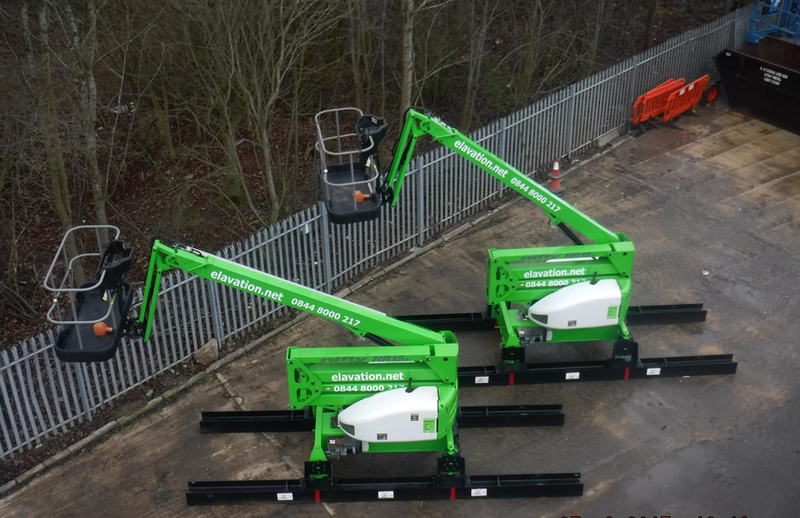 Developed specifically to help compliance with ‘Working at Height’ regulations in the steel erection industry, Nifty static base boom lifts have a base frame that incorporates a variable width facility to cater for differing pitches of profiled steelwork. 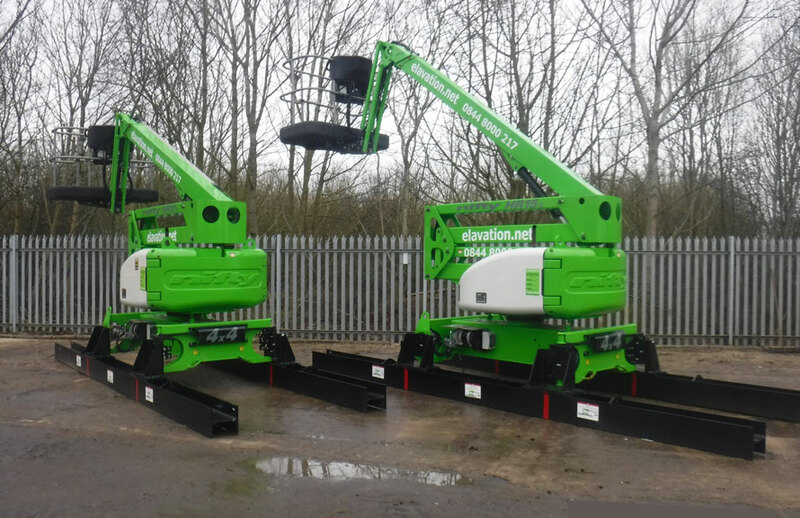 Their low weight allows them to be used at a much earlier stage of construction than a standard self-propelled boom lifts and by working off the prepared steelwork prior to laying the concrete slab, upper floor steel assembly can continue whilst lower levels are freed for rebar work, casting and light traffic. 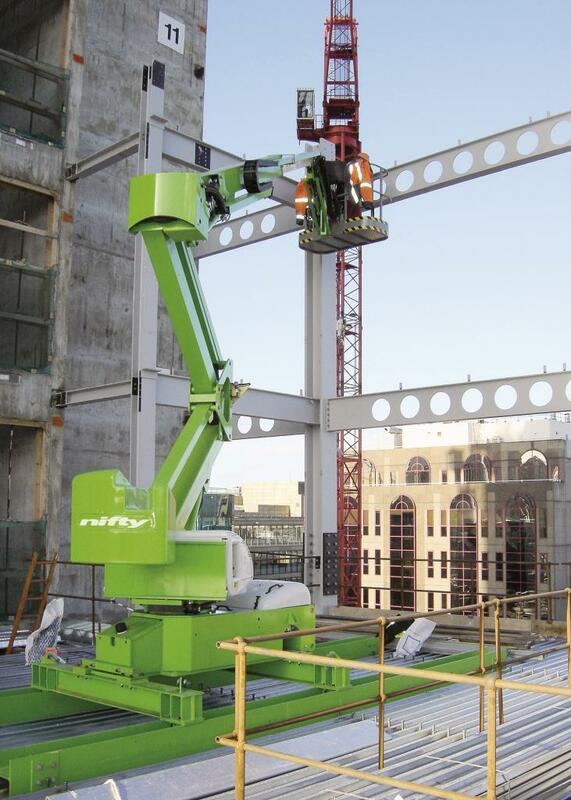 Reliance on waiting for the slab floor to achieve sufficient load-bearing strength is removed by Nifty static base boom lifts, making steel erection swifter and more efficient.